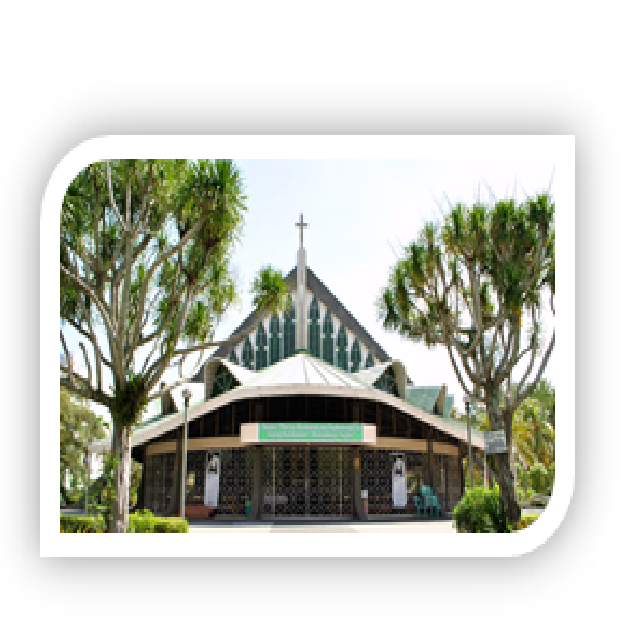 The Congregation of the Oblates of Mary Immaculate (Oblate Fathers) first came to the Philippines on September 25, 1939 upon the invitation of Bishop Luis del Rosario, S.J. of Zamboanga. Taking over from the Jesuits, the Oblate Fathers continued with the evangelization of the empire province of Cotabato and the Sulu-Tawi-Tawi group of islands. As the new vanguards of Christianity, they sought to win friends and allies among the Christian and Muslim populace in the heart of Morolandia. The Pacific War in 1941 interrupted the Oblate Mission in Mindanao. Some Oblate Fathers were taken as prisoners and incarcerated at the University of Santo Tomas by the Japanese. 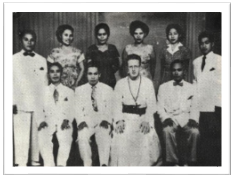 After the war, the Oblate Fathers returned to their mission stations in Cotabato and Sulu. Although faced with the gargantuan task of reconstruction and rehabilitation, they were undaunted. They forged ahead pursuing their Vision-Mission with greater zeal, vigor and vitality in the spirit of their founder, St. Eugene de Mazenod. The Oblate Fathers established the Notre Dame College (now University) in 1948. It was the first college founded in Cotabato City and the entire Province of Cotabato. Although primarily established as a teacher training institution, it offered courses in Liberal Arts, Commerce and Elementary Education. Fr. Robert E. Sullivan, OMI was its first Dean. Mr. Juan Sinco was the Registrar and Mr. Samuel Cabiles was the Librarian. The pioneering faculty of eight members included Fr. Robert Sullivan, OMI; Bro. Maurus James Doherty, FMS; Bro. Damian Teston, FMS; Mother Ma. Isabel Purificacion, RVM; Mrs. Nilda Quintana; RTC Judge Vicente Cusi Jr.; Atty. Matias Basco; and Mr. Alfredo Gimenez. The College started operating without a building of its own. The first 128 students attended classes at the Notre Dame of Cotabato Girls Department Building, which was a property of the RVM sisters. The second semester enrollment dropped with only 98 students. There were only eight students in the summer of the first School Year 1948-1949. However, this did not cause any discouragement to the Oblate Fathers. On the contrary, they ushered new ventures and broke new grounds in the work of evangelization. 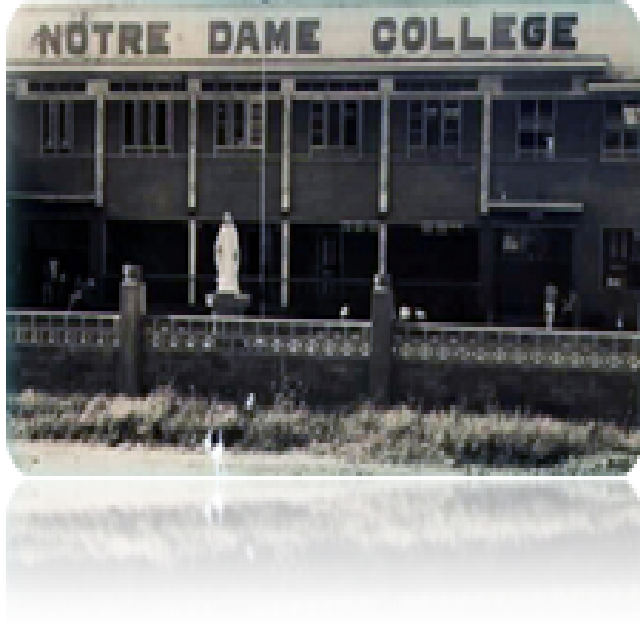 In 1949, the Notre Dame College acquired its own building adjacent to the Cathedral and the Notre Dame Press along Quezon Avenue. The school was located practically in the heart of Cotabato City. The School Year 1950-1951 ushered brighter hopes for the young College. As enrollment increased, the administration felt the need to expand its course offerings. A new course in Education was introduced to students wanting to teach in the secondary level.... In addition, the ROTC Unit was organized with the offering of military science and tactics for the male population of the college. In 1952, Fr. John P. Murphy, OMI succeeded Fr. Sullivan as Dean of the College. In 1953, the College received full Government Recognition for its course offerings in Liberal Arts, Commerce and Education. In the same year, the College of Law started offering first year law subjects. Complete elementary education was offered later with the establishment of the Notre Dame Training Department, envisioned to be a Teaching Laboratory for Education students majoring in Elementary Education. In 1954, Fr. James W. Burke, OMI became the Dean of the College. For three years, 1954 to 1957, the College further expanded its course offerings to meet the growing needs of the community. During Fr. Burke's term, the Normal College was opened with complete courses in Elementary Education leading to the Degree of Bachelor of Science in Elementary Education. In 1956, the two-year pre-nursing course was offered. In 1957, Fr. John P. Murphy, OMI assumed as Dean for the second time, replacing Fr. Burke who was elected Superior of the OMI Philippine Province. Under his leadership, the Notre Dame College embarked on new ventures not only in its course offerings but also in its physical plant and facilities. Owing to the yearly increase in enrollment, the administration saw the need to find a new school site that could accommodate its growing population. The new school site was chosen and approved in the late 1950's. No less than the Very Rev. Leo Deschatelets, OMI, the Superior General of the Oblate Congregation, came all the way from Rome to Cotabato City to lay the cornerstone and bless the college grounds. This momentous event took place on February 27, 1959. The construction of the new building and acquisition of facilities went in full swing despite financial problems. At one time, the construction had to be stopped due to lack of funds; yet the Oblates' faith in God's providence never waned. In June 1960, classes were transferred to the newly constructed Burke Building, named after Fr. 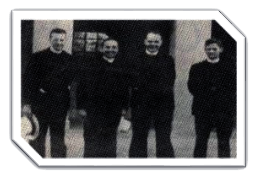 James Burke, OMI, the Oblate Provincial Superior from 1957 to 1963. Classes were disrupted in October due to floods that caused the Rio Grande River to overflow.... On February 19, 1961, the new college building was inaugurated and blessed by His Excellency Archbishop Salvatore Siino, Papal Nuncio to the Philippines. It was a grand affair, marking one of the significant events in the history of Notre Dame College. 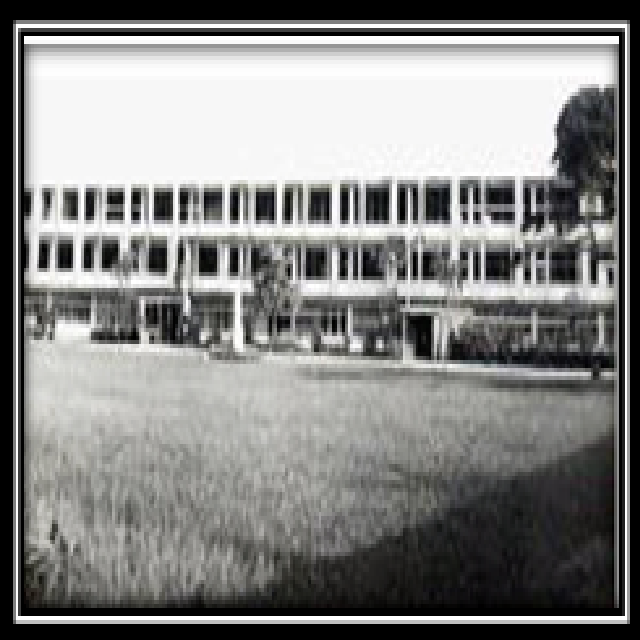 By the Academic Year 1962-1963, other buildings were constructed -- the Faculty House, the Elementary Training Department, and the Technical Building. The decade of the 1960s brought further innovations in the curricular offerings. The College of Engineering was opened. Subjects common to Civil, Mechanical, and Electrical Engineering were offered in the first and second years. In 1965, a complete course leading to the Degree of Bachelor of Science in Civil Engineering was given Government Recognition. The Graduate School offered courses leading to the degree of Master of Arts in Education. The Technical School also got the Government Permit and Recognition in 1965 and 1967 respectively. The Technical School offered a complete secondary high school and vocational education. These developments were made possible under the leadership of Fr. Philip F. Smith, OMI who assumed as Rector of the College in 1964. In 1968, a new Administration-Science-Auditorium Building was constructed. It was inaugurated in March 1969 and was dedicated to Dan and Ana O'Keefe who gave substantial donations for its completion. 1969 was a historic year in the life of the College. In an order signed by the Secretary of Education, Dr. Onofre Corpuz, and the Director of Private Schools, Dr. Narciso Albarracin, Notre Dame College was elevated to University status on March 11, 1969. The elevation of Notre Dame College into a full-fledged University came to be the capstone and the crowning glory of the educational leadership of the Oblate Fathers in Southern Philippines. It exemplified the untiring zeal of the Oblate Fathers in providing relevant and dynamic education through the apostolate of teaching. For the Oblates, it signified a beginning of a new era of renewed commitment to the education ministry. Notre Dame University was formally inaugurated on September 9, 1969 at the same time it marked its 21st year as a higher education institution. It was highlighted by the investiture of the Very Rev. Joseph Milford, OMI as the first University President and the installation of the Very Rev. Philip F. Smith, OMI as the first University Rector. In his inaugural address, Fr. Milford said, "We are a Catholic University. This is not a distinction of limitation but a directional beam for truth which is the constant quest of all universities." The decade of the 70's brought about significant changes in the life of the University. From a struggling small College in 1948, it metamorphosed into a University in twenty-one years of its existence.... One significant change was the assumption of the first Filipino President, the Rev. Fr. Orlando Quevedo, OMI. The formal installation of the new President took place on January 30, 1971. In his inaugural address, Fr. Quevedo stressed the nature and role of the university. He said, "The aim of the University is human resource development within the community." He added that the role of NDU is "to grapple with the problems of a developing region through its teaching, and its research and that failure to do so could be tragic betrayal of academic thrust." Another significant change was the appointment of Mrs. Cecilia S. de Leon as the first lay and non-Oblate Finance Officer/Treasurer of the University in 1970. 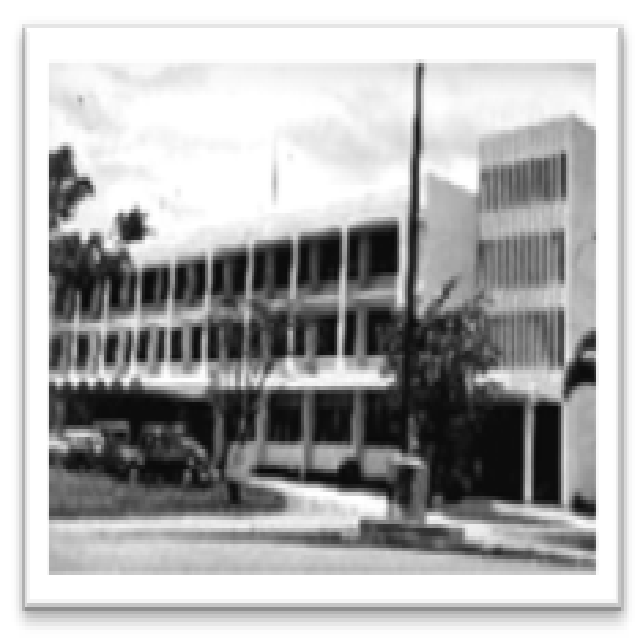 At the height of the MNLF wars in the early 70's, NDU was not spared from the conflict. The skirmishes affected not only the peace and order situation but also the economy. NDU was swarmed by soldiers belonging to the 21st and 25th Army Battalions who were on looked out for rebel snipers within the vicinity of the University. The student population at the University suddenly dropped to less than 2,000 by 1973. One student was killed and two others were wounded on different occasions by stray bullets. But the period also saw qualitative developments at NDU. In July 1970, the University offered Journalism for the first time. The courses were programmed eventually to become a minor field of study in Liberal Arts. On October 28, 1971, six administrative assistants were named and appointed Department Heads by the President. Their primary function was to assist the Deans of the different colleges in the preparation of curricular offerings, scheduling of class programs, and supervision of instruction. The appointees were: Mr. Eugenio Echavez, Accounting; Mrs. Fe Angeles Lopez, English; Mrs. Editha Tugbo, Language; Mr. Ceferino Costales, Mathematics; Mrs. Luz Tolentino, Natural Science and Mrs. Angelina Reyes, Social Sciences. In 1972, the Planning and Development Office was created with Mr. Guillermo Hagad as Planning and Development Officer. In the same year, the Socio-Economic Research Center (SERC) was established with Ms. Eva Kimpo-Tan as Director. This center was envisioned to be the research arm of the University that would provide direction in planning, research, education and training and technical assistance in research and socio-economic development concerns to the people of the region. In 1974, NDU opened its Nursing College as approved by the Bureau of Private Schools. In June 1975, the College of Commerce offered two new courses: Management and Financial Management. In November 1975, three new graduate courses were offered: Master of Arts in Education major in Elementary School Management/ Secondary School Management; and Master of Arts in Guidance. At a time when the University was heading towards development, the unexpected came. At about 12:13 midnight on August 17, 1976, a strong earthquake of tectonic origin rocked Cotabato City causing damage to buildings, roads, schools, houses and other structures. Then came the tsunamis wiping out thousands of houses in the coastal areas. Thousands of people died and tens of thousands more were left homeless. The destructive force of the earthquake did not spare NDU. The Administration-Science-Auditorium Building collapsed. The Burke and Technical Buildings suffered severe cracks. The damage was estimated to have reached over P8 million. For two weeks, classes were suspended to give way to reconstruction and rehabilitation. Classes resumed on September 1, 1976. Semestral classes ended on October 23 instead of the second week. The earthquake had left NDU in ruins, but it survived. Survival proved to be a great task for the new University President. Toward the end of 1976, Fr. Quevedo requested for a leave from the University to take up his spiritual renewal course at St. Louis University in Missouri. His request was granted by Fr. Jose Ante, OMI who was the Oblate Provincial at that time. In 1976, Fr. Jose Roberto Arong, OMI inherited the task of reconstruction and rehabilitation. He was the third President of the University and the second Filipino to occupy such position. In 1977, the Quinn and McGrath Buildings were built to house the Engineering College. In due time, Fr. Arong was able to finish rehabilitation of damaged buildings and even added to his accomplishment a new building, the Archbishop Gerard Mongeau Chapel, which became the heart of the University. The Chapel was consecrated in September 1981. Parallel with the physical improvement was an upgrading of the University's academic offerings. In 1976, the Graduate School offered M.A. in Public Administration, followed by the offering of M.A. in Business Administration in 1980.
studet-centeredness and inspired by our core values. to develop graduates who are locally and globally competitive. to form persons with social conscience and responsibility. to foster a culture of peace and dialogue of faiths and cultures. to facilitate community empowerment for total human development especially among the poor. to promote holistic institutional growth. and finally, to nurture a community of internal stakeholders and external partners valuing and sharing this vision and working towards its attainment. Intergroup Relations and Inclusive Development. Leads, inspires, advocates and creates positive change towards a common vision for social transformation. Believes in God and His teachings, lives the values of faith, integrity, respect, excellence and service, and upholds justice, peace and integrity of creation for the glory of God. Promotes culture sensitivity and intergroup relations, and analyzes problems and issues to generate solutions for peace and development. Notre Dame University commits to the holistic development of its students by providing quality formation, instruction, research and extension programs - that they become transformative leaders, peace advocates and communicators; God-centered/Value Laden and globally competent to contribute to the social transformation of Mindanao. We shall continuously improve our systems and processes to ensure operational efficiency and productivity by assessing the needs of our internal and external stakeholders and realities of our environment and complying with the standards set by regulating bodies. The upper side, superimposed with the coat of arms of the Oblates of Mary Immaculate, the congregation that founded the University, is a field of blue, symbolic of Mary Immaculate to whom the Oblates of Mary Immaculate congregation was dedicated by its founder. The Cross of the OMI coat of arms is the cross of the Catholic faith. The left side of the upper compartment depicts a stone fort in white field symbolizing the city of Cotabato, the seat of Notre Dame University. The main section of the escutcheon consists of twenty-one green and white stripes superimposed at the center with an open book lighted by a torch. The twenty-one stripes represent the years Notre Dame had been a college before it earned University status. Green and white are the official colors of the University symbolizing peace and hope within its sway. The open book with the burning torch symbolizes the mission of the University to spread the light of faith and the knowledge of truth for social transformation. Above the shield are five stars standing for the University's core values of Faith, Integrity, Respect, Excellence and Service. Overarching the stars is "Sedes Sapientiae" (Seat of Wisdom), one of the many titles attributed to Blessed Virgin Mary, Our Lady, the Notre Dame, patroness of the University. Fr. Francis Efren C. Zabala, OMI D. Min. Dr. Alfonso B. Gonzales, Jr.
Atty. Francisco Xavier A. Del Rosario, Jr.
Mr. Antonio V. Lim, Jr.